Most office supplies and items can now be recycled but there are still a number of products which cannot be so easily and demand careful consideration when being disposed of. As landfill sites fill up and the costs for commercial dumping increase, waste recycling is becoming less just a concession to the environment but a financial necessity. So as we enter an age of widespread recycling what should companies do with waste that is not so easy to recycle? Whether it’s due to a lack of reprocessing facilities, hazardous components for instance, there are a number of waste products that cannot be easily recycled. Common recycling resisters include computers, batteries and certain plastics. If there are no recycling facilities immediately available for certain used or unwanted office supplies then before employing the services of a disposal company it is worth first consulting the original supplier to see if they operate a take back policy or even their own recycling scheme. Used office items you may think of as waste might still be considered useful to someone else. This is the principle behind waste exchange schemes, which allow people to advertise their unwanted items in the hope that someone else will be able to find a use for it. For example, manufacturing by-products or unused materials that would normally be thrown away could be very valuable to other organisations. This direct form of recycling not only saves on waste but saves the recipients money too. Far from being a fledgling concern, there are now waste exchange schemes available online that operate on regional, national and sometimes even international levels. There are an increasing number of services that specialise in collecting difficult to dispose of waste items. There are, for instance, companies dedicated to taking away your ‘white goods’, such as computers, monitors and other IT equipment. If the equipment is still in working order then rather than send it off to be disposed of, why not consider contacting local community organisations and charities and asking whether they could reuse it, or at least refurbish it for resale. Recent years have the seen the emergence of companies that are not only happy to take away your difficult to dispose of office waste but also endeavour to reuse and recycle it wherever possible. The London, Bristol and Birmingham-based junk clearance and removal firm ANY JUNK?, specialises in clearing out all unwanted office supplies, from fax machines to filing cabinets to computer monitors. 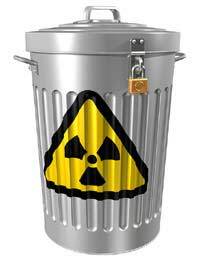 The only things they don’t take care of are hazardous materials like paint, chemicals, solvents, asbestos etc. ANY JUNK? claims that it will recycle at least 50% of all the waste it collects, with many items finding new leases of life in homes, at charities or even other offices. It is all well and good taking action to try to find homes and resting places for your hard to recycle office supplies, but the most effective way of easing this wastage headache is simply to just reduce the amount you buy in the first place. By opting for recyclable office supplies wherever possible from the onset, you will not only help the environment but also cut down on your waste management costs.